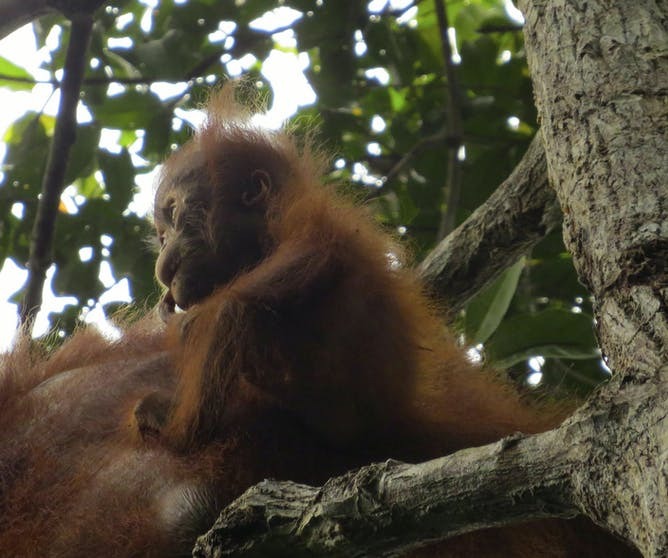 A young Bornean orangutan nursing. Tooth growth creates daily lines (indicated by short white lines), as well as a neonatal line (NL) at birth. Growth starts at the junction between enamel and dentine, and progresses away from the junction and towards the root (arrows). Wild Bornean orangutan mother and suckling 19-month old infant. 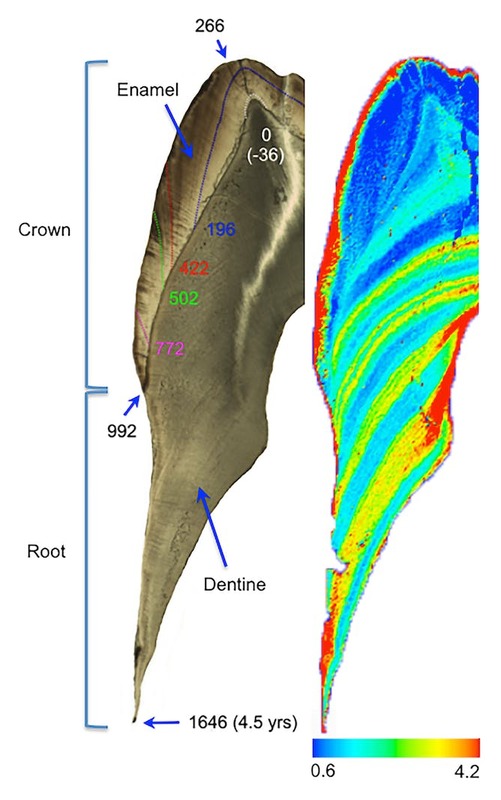 Light microscope image (left) of a wild orangutan molar contrasted with an elemental map of the same tooth (right) showing the distribution of barium. 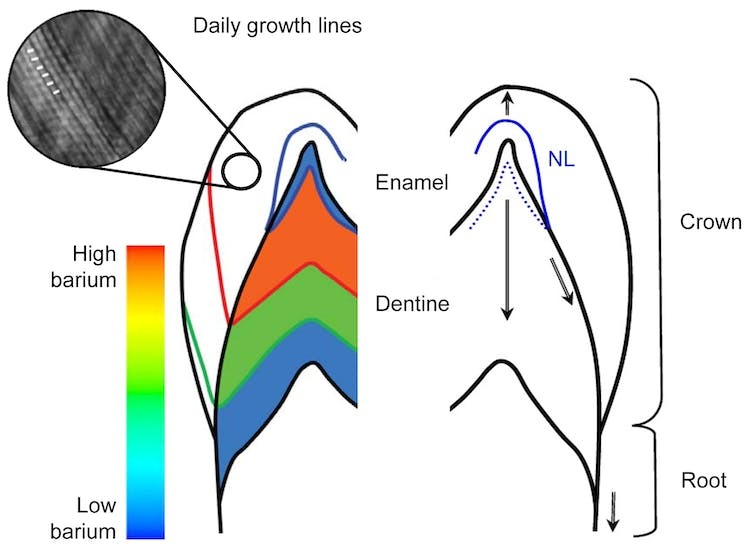 The timing of barium incorporation was determined from accentuated lines (in days of age on the left), which form during enamel and dentine secretion. Approximately annual bands of enriched barium are apparent in the dentine after the first year, likely due to seasonal increases in mother’s milk intake. 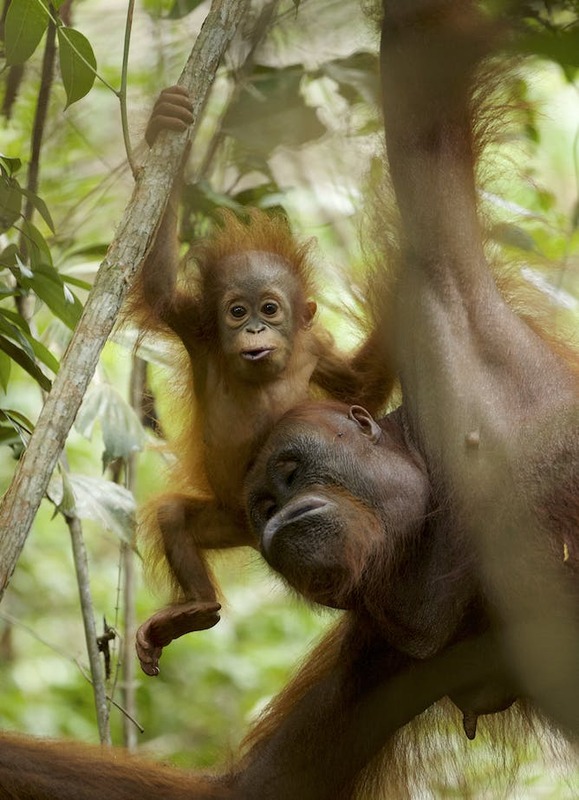 Wild orangutan mother and 11-month old infant.